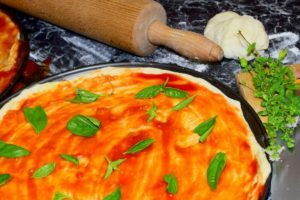 Best Pizza Oven: Which One is the Best? There is no doubt that pizza is an amazing food to eat. However, making a pizza in a regular oven just never turns out that well. It never has that great flavor you want, plus full-size ovens use a lot of electricity that ends up costing you money. 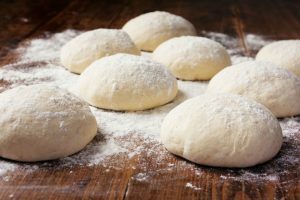 Yeah, delivery pizza is fine, something which cannot be said for cooking up a frozen pizza, but making a fresh pizza from scratch, and using a good pizza oven, always delivers the best results. With that being said, finding a good pizza oven can be a challenge. 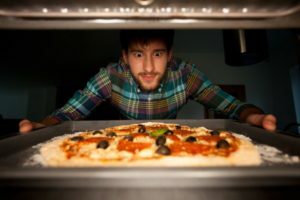 Of course you probably don’t want a full size pizza oven like you would find in a restaurant, at least not if you aren’t planning to sell pizzas. 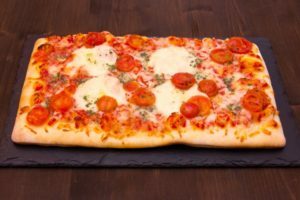 At any rate, you’re probably looking for a small pizza oven, one that can fit on your counter top, or maybe even a portable one that you can take with you on the go. This is why we are here right now, to help you find the best pizza oven that your money can buy. We’ve got 5 really nice options for you to take a look at, so let’s get to it! 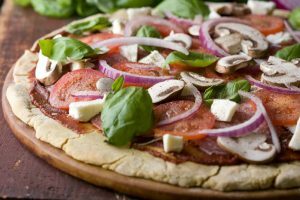 If you need a good counter top pizza oven, the Presto Pizzazz Rotating Oven is a nice one to keep in mind. For one, this thing is pretty small and compact. No, it is not portable in the sense that it doesn’t need a power outlet, but as long as you have power, it should be able to fit on pretty much any counter top out there. Its small and compact size definitely comes in handy here. Now, the baking pan here is about 13 inches in diameter, so you can make some pretty large pizzas, not the biggest ones, but some fairly decent=sized ones nonetheless. We like the baking pan here because it is a non-stick pan, which helps to provide better results. At the same time, it is also removable for easy cleaning. Even better is the fact that the tray moves in a continuous circle for even cooking from all sides. On a side note, this pizza oven may cook the crust slightly more than the middle of the pizza. Something which stands out about the Presto Pizzazz Rotating Oven is that it uses around 60% less energy to make a pizza than your standard kitchen oven, which means a drastically reduced electricity bill, especially if you make a lot of pizzas. What is also neat here is that this pizza oven features dual heating elements, one on the top and one on the bottom, which helps to ensure even pizza cooking from both the top and bottom. 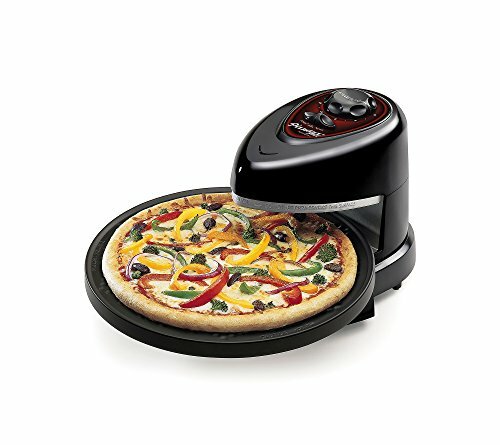 What is also nice is that the Presto Pizzazz Rotating Oven comes with a timer that you can set. It will go off once the time is up and it will also automatically shut off the heat, this preventing over cooking. 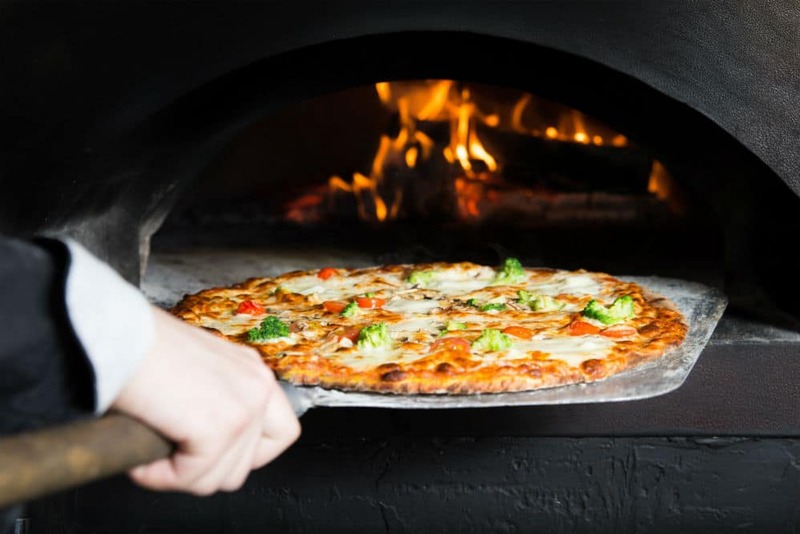 If you are looking for a pizza oven to use outdoors, such as at a campground, the park, or even in your own backyard, you might want to consider the Pizzacraft PizzaQue Outdoor Pizza Oven. This particular pizza oven is a gas-powered oven, propane to be exact. We like this because although propane is not exactly ecofriendly, it is very easy to use. Simply hook up your propane canister, open the valves, and hit the ignition. On a side note, although this thing comes with an ignition system, it does wear down kind of fast, so you might have to use an open flame, such as a match, in order to light it. The Pizzacraft PizzaQue Outdoor Pizza Oven heats up in around 15 minutes, which admittedly is quite a long time to wait. However, it does make up for this with the fact that pizzas only take around 6 minutes to fully cook, which is not very long at all. It also won’t lose heat, so you can shove a second pizza into it as soon as the previous one comes out. The included baking stone here is pretty nice as well. It can be removed for easy cleaning, plus it is specially made to ensure proper heat distribution from the center to the edges, thus evenly cooking pizza. 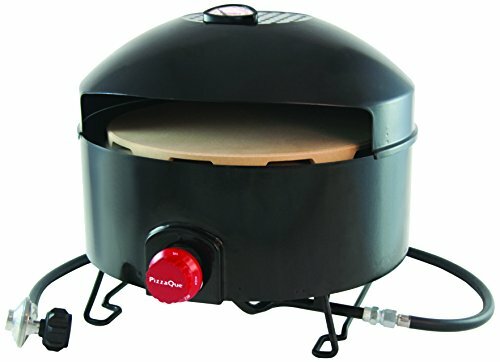 On that same note, the Pizzacraft PizzaQue Outdoor Pizza Oven also comes with a heat dome to ensure that the toppings cook from the top just like the crust cooks from the bottom. The special shape also makes it a good option because it helps stop wind from getting through. Do keep in mind that this pizza oven can make a pizza of 14 inches at the most, which is not huge, but ideal for a few people to eat a pizza. The Pizzacraft PizzaQue Outdoor Pizza Oven is pretty lightweight and portable too, which is always nice when it comes to wanting a quick pizza on the go. If you need a portable pizza oven for a campsite or for a friend’s backyard, or even for your own, the Ooni 3 Portable Wood Pellet Pizza Oven is a good option to consider. This thing is a wood pellet stove. Now, the great part about this is that wood pellets are fairly ecofriendly, they are cost effective, and they provide for a really great flavor too. The downside to using wood pellets as fuel is that it can be a little hard to control the temperature, plus you actually need to know how, and you need to take the time to tend to a fire. It can be a little difficult to get the hang of, but if you do it right, the results are awesome. What is impressive about the Ooni 3 Portable Wood Pellet Pizza Oven is that it can heat up to 930° in just 6 minutes. That is super-hot and super-fast too. To be fair, you need around 450° to cook a pizza right, so 930° is a bit unnecessary, or total overkill to be exact. However, what we do really like about this thing is that it can be used to cook pizzas, seafood, meats, veggies, and even baked goods too. It’s definitely quite a versatile little pizza oven in terms of what can actually be made with it. This particular pizza oven can cook 13-inch pizzas with ease. No, the pizzas it can make are not all that big, but if you consider that you can keep firing more pizzas into this thing as soon as one is done, it is not too bad. 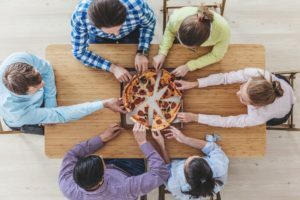 On a side note, we think that it might be a little too much effort to start a wood pellet fire for a single pizza, so we think that the Ooni 3 Portable Wood Pellet Pizza Oven is best for larger gatherings where multiple pizzas are needed. We like how this thing has a stable 3-leg design, making it ideal for ground that is not perfectly flat or even. Also, being made of really durable stainless steel is a big bonus too. This is another convenient portable pizza oven to go with. Now, this is another gas powered model, propane to be exact. We love propane pizza ovens because they are very easy to use. Simply hook up the mini propane tank, turn on the valve, and hit the ignition switch. 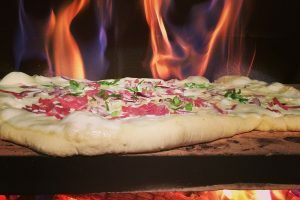 Yes, we like how the Camp Chef Italia Artisan Pizza Oven comes with an easy ignition switch, but beware that these switches never really last too long, so you might end up having to use an open flame to light this pizza oven after prolonged use. With that being said, we like the Camp Chef Italia Artisan Pizza Oven for its design. All things considered, it is actually quite lightweight and compact. No, it is not a featherweight, but considering what this actually is, it’s still small and light enough to be considered portable. It’s definitely a good option for campgrounds, the park, and for tailgate parties too. It doesn’t come with a carrying handle or anything like that, which we suppose is a bit of a drawback, but nothing major. The pizza stone included here is fairly nice. 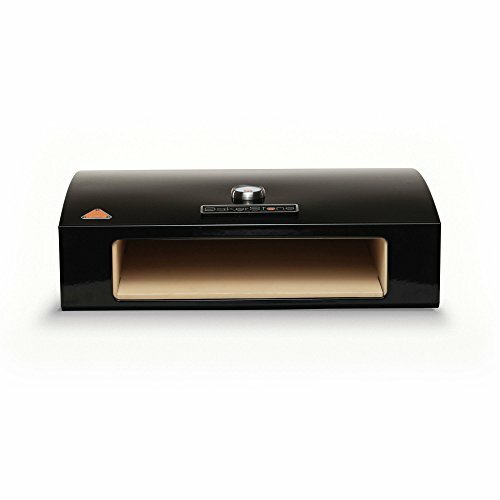 It is designed to evenly distribute heat so your pizza cooks evenly from one side to the other. 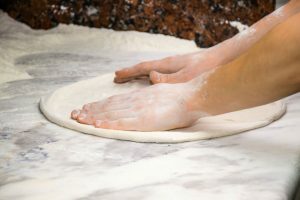 The pizza stone can also be removed for easy cleaning, plus it comes in at 13 x 20 inches. 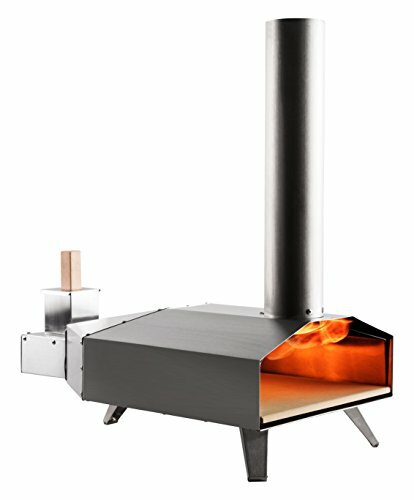 If you like making square pizzas, or 2 smaller round pizzas, then this is a nice pizza oven to keep in mind. The stainless steel used for its build is quite durable, plus good looking too, not to mention that the top is double layered to ensure wind protection and so that your pizza cooks on top as well. This is a really neat option to go with, no doubt. 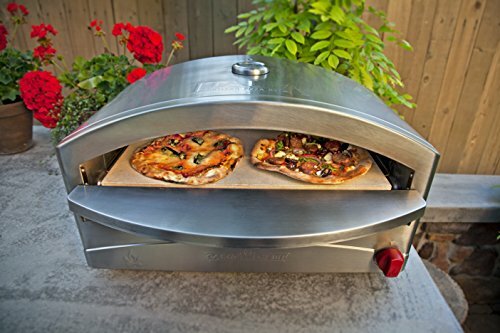 The BakerStone Pizza Oven Box is used with a BBQ. In other words, it does not have its own power source or flame. You have to put it onto a barbeque to use it. It might sound a little odd, but it actually works very well. Yes you do need to have a fairly large BBQ to use this thing, but we think it is pretty cool nonetheless. What is nice is that the pizza stone can be removed for easy cleaning. Also, the BakerStone Pizza Oven Box can cook a pizza in 2 to 4 minutes, which is very impressive. Both the pizza stone and the layered top help to ensure even pizza cooking from all sides and angles. You can also use this thing to cook other foods, but it is best used for pizza. No, you don’t have to buy a professional-grade full-size model that you need to expand your kitchen for. There are plenty of nice portable and counter top pizza oven options out there. They don’t have to be massive to work right. Simply pay attention to some of the main features which we have talked about in all 5 reviews and think about what would suit you best. 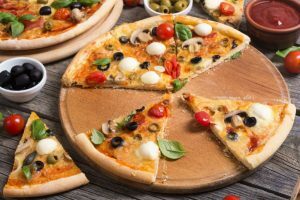 If you don’t rush into a purchasing decision, and if you choose one of the 5 models we have reviewed here, you are sure to find the best pizza oven for you.